Rooftop at The Jimmy. All photos courtesy of The James Soho. New York is the mother of reinvention. In downtown Manhattan's Soho neighborhood, industrial lofts were once filled with garment workers. Then artists moved in, looking for cheap spaces for living and working. Then creative commercial pioneers set up galleries and boutiques for art-chasers and fashiony types. Then, of course, everyone else followed, giving big brands and chain stores a reason to open flagships on the crooked cobblestone streets. 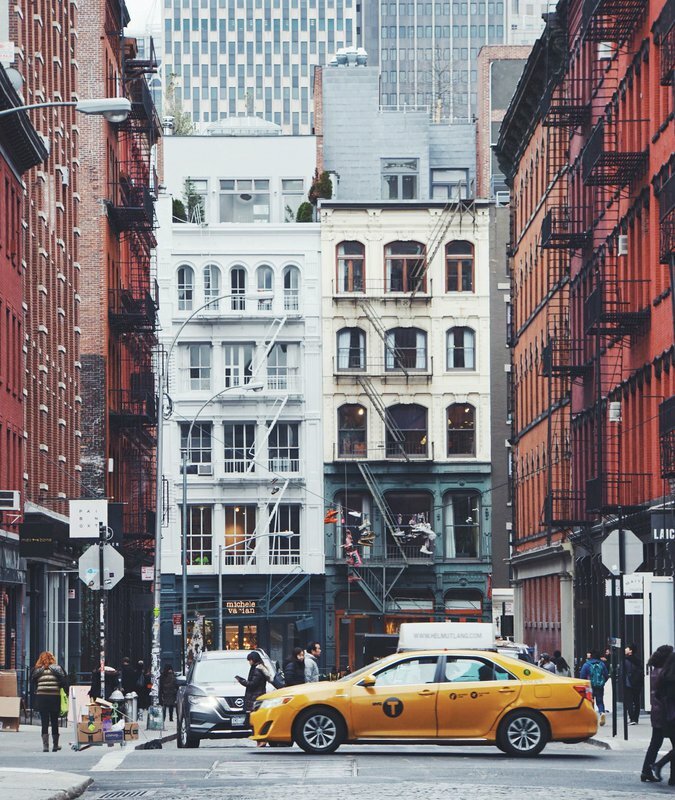 At this point, you'll be hard-pressed to find an untouched corner of cool in Soho, but the neighborhood's charm is still, thankfully, undeniable. Interestingly, a lingering whiff of the indie spirit can still be detected in the southwest pocket of the area, which made the 2011 arrival of The James Soho notable. Even in been-there-done-that downtown, the strange little corner of Grand Street and Sixth Avenue felt like old and new NYC at once: early aughts cafes and lounges left undisturbed, an underutilized triangle park on buzzing Canal Street, and the entrance to the Holland Tunnel. 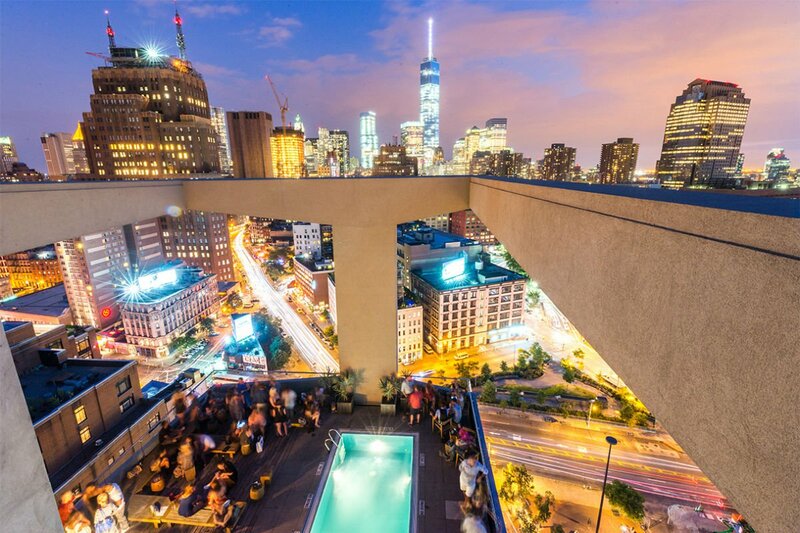 What The James offered then and offers now is an outsider's perspective — a literal bird's eye view of Soho, the west side, and Tribeca from The Jimmy, its 18th floor bar and lounge. This is a remarkable sight, as most buildings in the area cap out at just a few stories. 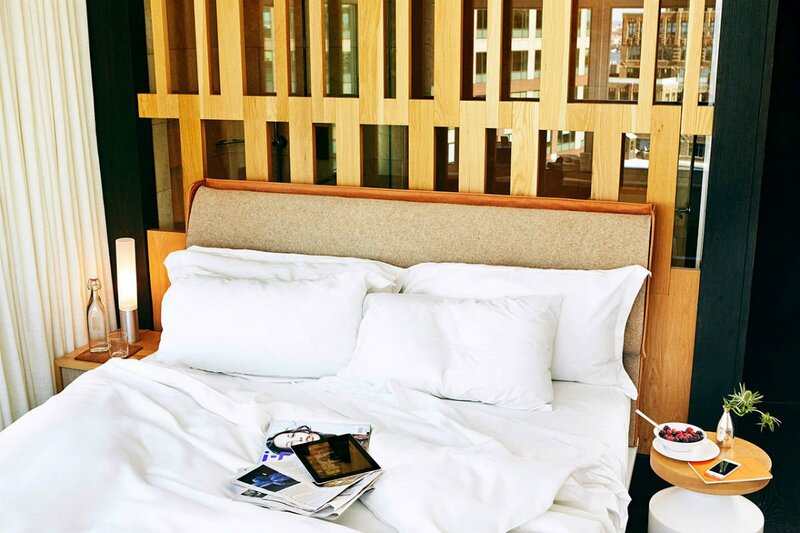 The hotel is sleek and modern but not intimidatingly hip. Though guests can be in the center of Soho, Tribeca, and Chinatown in just a few minutes, the hotel still feels away from the fray. Sleek and modern and spacious. 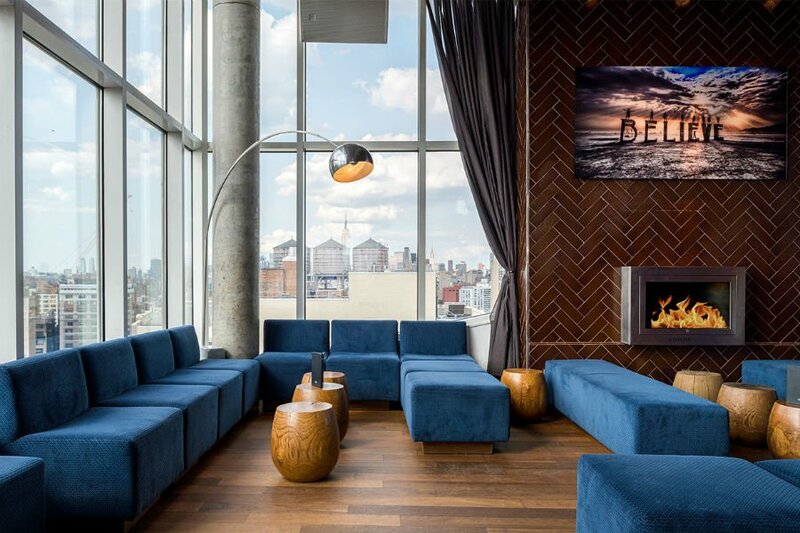 You won't find any of the bohemian trappings of Old Soho; instead the hotel channels today's more transactional and contemporary downtown vibe. That view! The lobby, lifted to the second floor, has floor-to-ceiling windows that let in lots of light and give the eye a broad perspective of the west side. Even the bathroom window from the rooftop bar offers a dizzying city view. 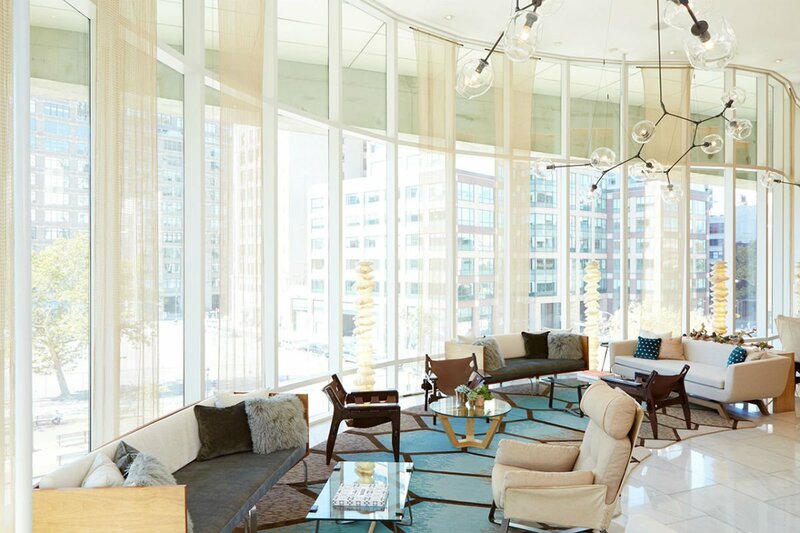 Folks tending to downtown business can have a sophisticated meeting in The Sky Lobby. Leisure travelers (and their pets) will love the proximity to great shopping and dining. Everyone will appreciate a nightcap on the roof (in front of the fireplace or the pool, depending on the time of year) at The Jimmy. There are 114 rooms, including the Skyline section on the upper floors, which offer excellent views from walls of windows. 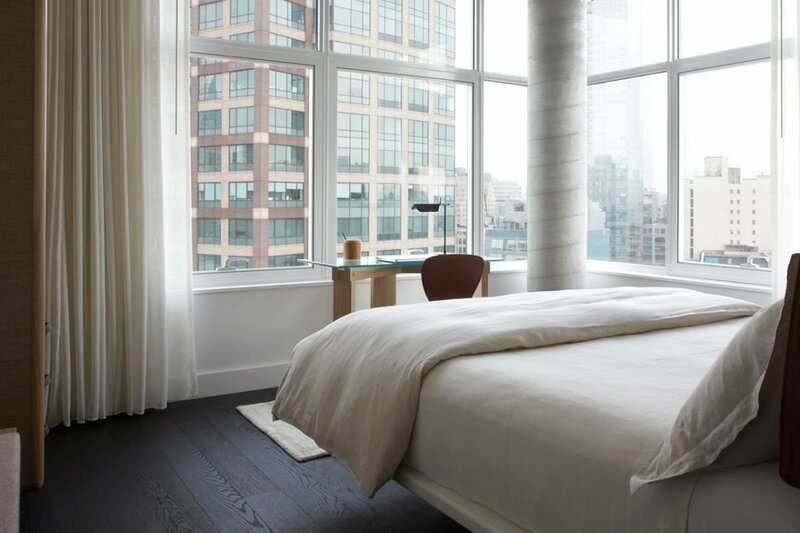 In-room wellness offerings are curated by (Fathom friend) Ruby Warrington of The Numinous, who focuses on the physical, mental, and spiritual arenas to help guests gain equilibrium while adjusting to city life. In-room TVs offer Aerospace workouts, and there are opportunities to book one-on-one sessions with various intuitive counselors. Those who prefer the earthly realm will appreciate the Kee's Chocolates left on the pillows during nightly turndown service. The Jimmy rooftop bar and lounge is an especially coveted commodity in warm months. Get this: The in-ground pool is open to the public on the weekends (check for hours). The bar also has an enclosed indoor lounge with great views. A tiered Urban Garden functions as a multi-use space for yoga and meditation, spa treatments, and events like Tribeca Film Festival screenings. The hotel has a functional gym, wheelchair access, and WiFi. Pets are welcome. Soho's beloved Balthazar Bakery provides pastries and La Colombe coffee upon arrival at The James Club. Feel free to work from there for the day. 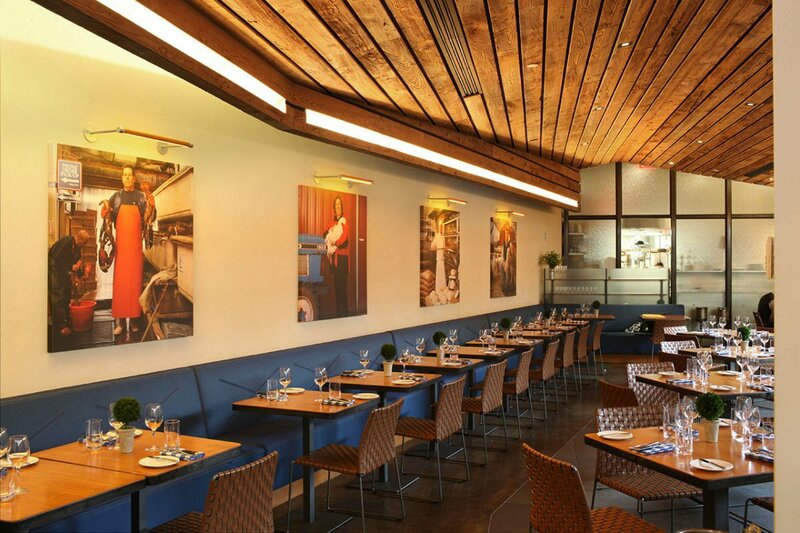 David Burke Kitchen provides indoor New American fare and an al fresco dining experience tucked behind garden walls. This being NYC, "celebrity-chef composed meals" are available via room service 24 hours a day. Rates change seasonally and start at $200 per night. Click here for reservations, or get in touch with the Fathom Travel Concierge, and we can plan your trip for you. Photo courtesy of Heather Shevlin / Unsplash. What are you in the mood for today? Pick a direction and go. To the north and east, walk Soho's streets for a boutique shopping experience with stops at Dominique Ansel Bakery (a.k.a. cronut king), Omen (old-school Japanese perfection), Legacy (vintage accessories), and single-focus shops (kimonos! handmade hats! chess pieces!). Be sure to stop for tea at La Mercerie. Canal Street and east, you'll find crazy Chinatown antics and the Canal Street Market, dumpling shops, cheap produce, and imports. Directly south, you'll hit Tribeca's wide streets, bourgeois boutiques, and post-industrial lofts-turned-condos. Keep walking west and you'll hit the water. You can take the promenade nearly the entire length of Manhattan, passing parks and gardens and a trapeze school on the way.